The Dragon Tree Project is quietly taking shape, as we move closer to building our Primary School’s new home. As you may know, our transfer papers to our new piece of land have finally come through in September. This affirms the start of our new season of erecting our buildings. The beautiful piece of land has been marked off and the fence is currently being erected. 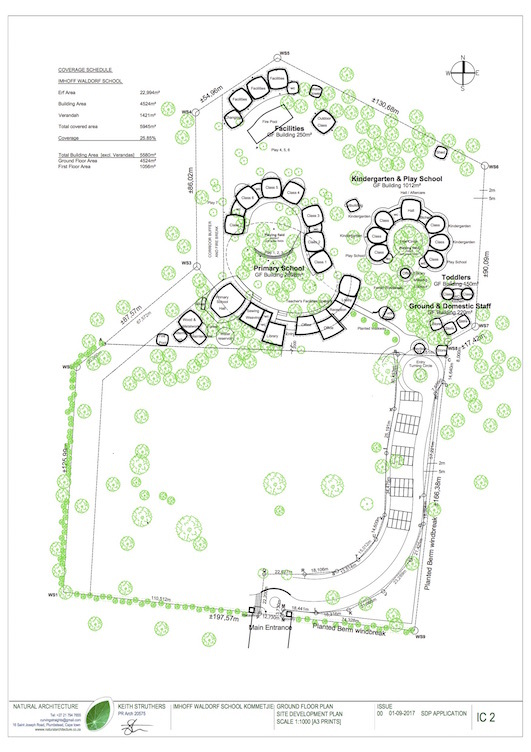 New site plans have also been developed, with a role out plan of groups of three buildings at a time. The methods used will include rammed earth hybrid for the main buildings, vertical log for the primary classes and cordwood for the Kindergarten and play school. The result will be a specific ambiance for each ‘neighbourhood.’ The smaller scaled building materials and natural feel are appropriate for the playgroup and Kindergarten. The primary classes would have a solid, upright forest feel, blending in well with the surroundings. And the main buildings would have a more solid and earthy feel. To keep all parents up to speed with our progress, we are planning to share information on-line and off-line as we progress. We would like to thank each and every donation that has come in so far. This includes some needed materials, such as building sand from Jenkor, poles from the Poleyard and cement from both Buco and Chapman’s Hardware. 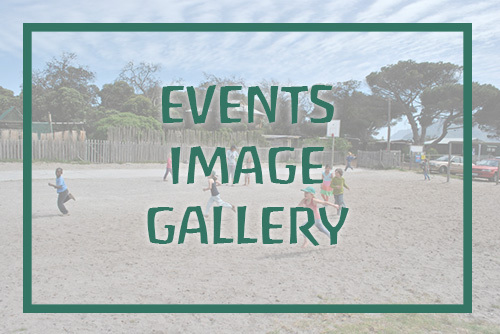 Many of you may or may not know that Imhoff Waldorf School and Imhoff Campus both purchased relatively large portions of land on Imhoff Farm. These portions were referred to as the Northern (Imhoff Waldorf School) and Southern (Imhoff Campus or IC) portions. We recently learnt that the purchase of the Southern portion of Imhoff Campus has been finalised. On the 6th of October, the sale was closed and PropGen/Generation Schools Group are the new owners of this part of the land. To our knowledge the intention of Generation Schools is to open their High School here in 2019, and potentially offering Middle School from January 2018. We would like to thank Clive Bester (IC) for all the input and guidance he has provided us over the past four years. He has played a huge part in the process of purchasing our piece of land from Imhoff Farm (Red Cliff Properties). 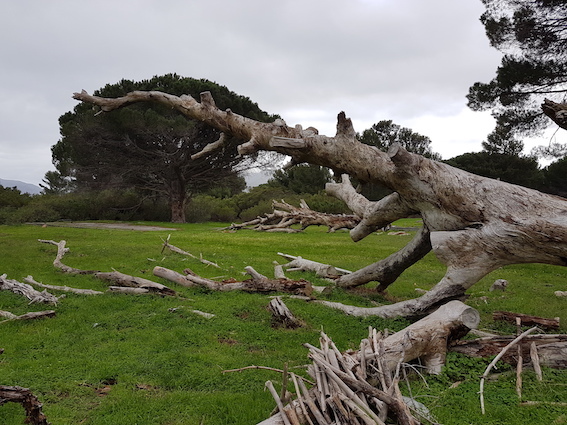 If you have any questions regarding the Dragon Tree Project, please do not hesitate to contact Stefanie Roux.